Who is Sage Canaday you ask? It's like when Kilian Jornet ran Western States 100 in 2010 and very few people knew who he was. Nobody in ultrarunning these days says, "Who is Kilian?" So, I think Sage Canaday is in the same genre of elite ultrarunners you just haven't heard very much about YET. Sage comes from road racing...he ran in the Olympic Marathon trials at the ripe old age of 21. He's only been running ultras for the past year and he has yet to finish any lower than 2nd place. Those were big races too...UROC "Ultra Race of Champions", Bandera 100k, and Lake Sonoma 50 mi to name a few. Sage has won most of the races he entered and set course records in many of them. He hasn't yet run a 100 miler but he shared with me off camera that he'd like to debut in 100 mile at Western States or Leadville. Sage trains here in Boulder. We see him on the trails, cranking up and down some of our most technical trails. Strava made all of us aware Sage was here because it logs best performances on all the routes and compares your times to other athletes on Strava. Sage immediately snagged a host of "course records" on well known Boulder trails like Fern Canyon and Green Mountain. Not everyone uses Strava but I would be quite interesting to see where athletes compare in training efforts if more were logged into the site. So, this video was shot by my training buddy Ryan Lassen. We recorded the interview in Chautauqua Park at the base of Green Mountain. It's edited for quick viewing. I think you'll enjoy it. 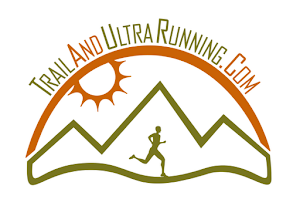 Sage Canaday: Ultrarunner 2.0 from Jerry Armstrong on Vimeo.